On this milestone birthday, the ultimate token of good wishes. 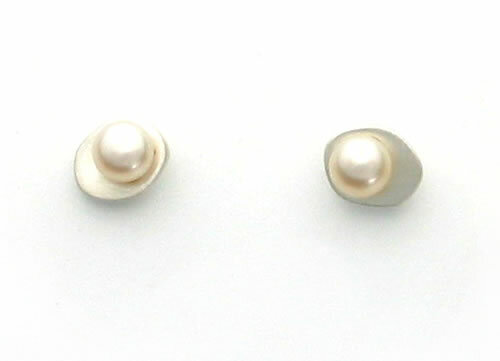 Here, the classic little pearl earring is transformed with a twist -- freshwater pearl set on a delightful silver leaf. From San Francisco jewelry designer Philippa Roberts, these stud earrings in sterling silver are topped by a freshwater pearl.